As part of our local Habitat family, you already support international builds! 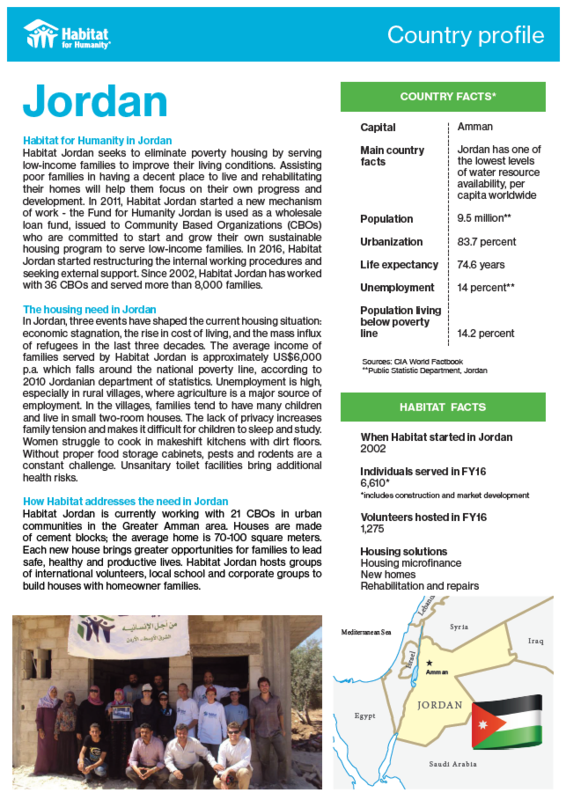 Ten percent of unrestricted funds built homes last year in Jordan. Community goes beyond its physical location or community members. A sense of global community within Habitat for Humanity of Kitsap County is built in part by the affiliate tithe - the sharing of a portion of an affiliate's resources with Habitat's work in another country. We are one of hundreds worldwide. There are 2,322 HFHI affiliates around the world and each is encouraged to share a part of what is raised in their home country to help elsewhere. 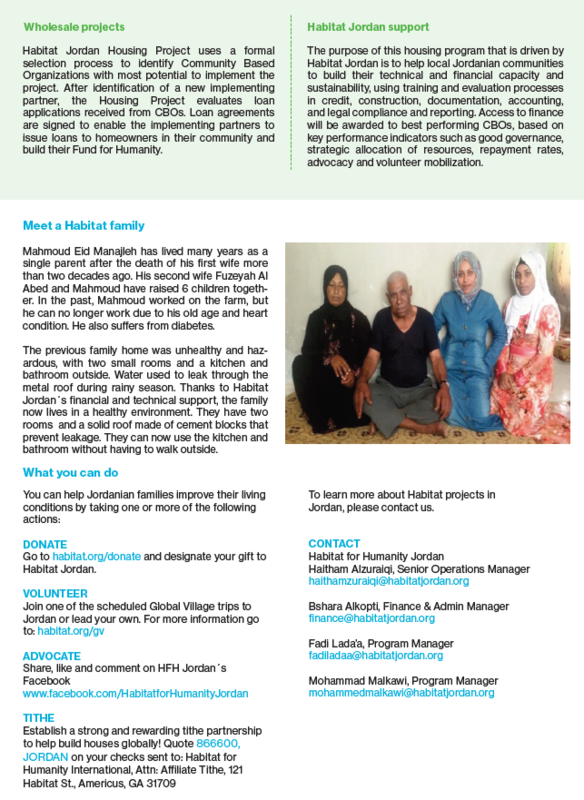 Our FY 2016 tithe of $15K help build more than 50 houses with sister affiliate, Habitat Jordan.